Google recently released its first Android N developer preview for its range of smartphones and we have already shared official Android N wallpapers for Xiaomi devices. Today, we are sharing a new Android N 7.0 Theme which gives the total experience of all new Google OS. 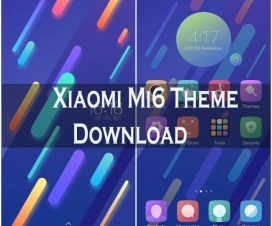 It is a free theme and compatible with all Xiaomi Android phones & tablets (Redmi Note 3, Redmi 2 Prime, Mi5, Mi4s, Mi4i, Mi Pad 2 & more). No official name has been given to Android N, but most users says Nutella as of now. Like iOS devices, there is no app drawer on MIUI devices and many of the users don’t like it much. So, the only way to change the look of the MIUI device is by installing a custom theme. The latest Android N theme does the same thing on your Mi phones. Like Cyanogenmod ROM, the Xiaomi MIUI also comes with built-in theme engine from where you can easily manage your themes. So, without much wasting time follow the below tutorial to download Android N Theme and install on your Xiaomi Mi & Redmi mobile. Note: Make sure your device runs on MIUI 7 and there is no need to have root access. 1. 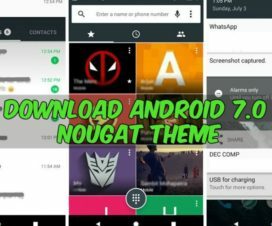 Firstly download Android N theme files from the below download section to your computer. 2. Take USB cable and connect the device with computer. Now you need to copy the files to your device. 4. Open any File Manager say ES File Manager and navigate the transferred theme files. 5. 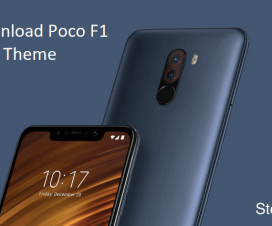 Now you need to again copy the same files and paste into Theme folder located inside of MIUI folder. 6. Then you need to reboot your Xiaomi device. 7. Once done, launch Themes app from the app drawer. 8. Find the Android N theme from the list of offline themes and apply it. That’s it! Now you need to reboot your smartphone in order to experience the all new Android N theme. 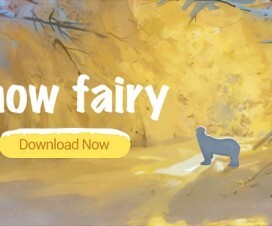 Visit MIUI forum for more details and screenshots regarding MIUI latest theme. Do share your thoughts on the theme once you have installed on your device. For more MIUI 7 themes, do visit HERE.